Four years after lawmakers started a controversial teacher-bonus program, Gov. 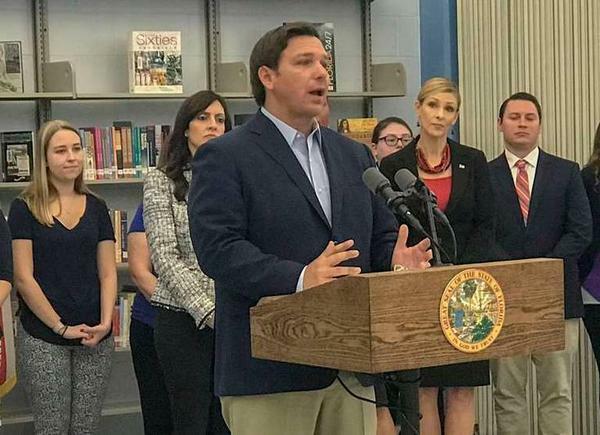 Ron DeSantis said Thursday he wants to scrap the “Best and Brightest” program and plow nearly $423 million into a new effort to reward teachers and principals. The governor's proposed changes would require legislative approval during the session that starts March 5. The Best and Brightest program, which provides $6,000 bonuses to teachers, is in state law. House Republican leaders pushed for its creation in 2015 --- a time when current Education Commissioner Richard Corcoran was the House appropriations chairman.